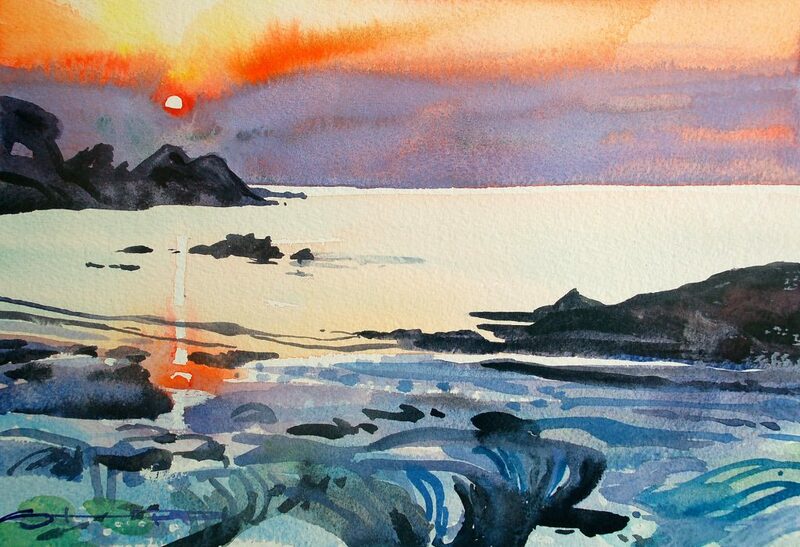 Hele Bay Sunset. The splendour of a Summer sunset as it warms up the beach in this little Devon cove, makes it a retreat for the soul. 10 x 8 / " x / 14 x 10 more sizes available"